If you’re someone who tends to get lost, one of the best reasons to pick up an Android phone is for its free Google Maps turn-by-turn navigation program. Not even the iPhone can provide this service for free yet. As such, Microsoft wants in on the action. As part of its Windows Phone deal with Nokia, Bing Maps has gotten a shot in the arm from Navteq, one of the leaders in mapping technology. With the upcoming Mango release of WP7, we’ve been promised a full turn-by-turn solution for the platform. 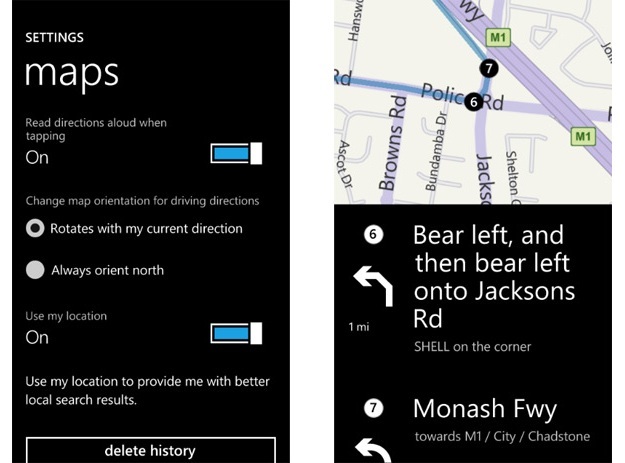 French site Professor Thibault (via WMPoweruser) has tested out the current beta version of Microsoft’s stab at GPS navigation and it has some major problems. As you can see in the video embedded below, Bing Maps turn-by-turn navigation is good looking, but unresponsive. The program does not warn you when you have to turn, nor does it ever say anything unless you touch the screen. Worse, it won’t even scroll to a new set of directions unless you tap on the screen again. We’re hoping that the deal with Nokia will change this fairly quickly, but it’s looking like Windows Phone Mango may ship with this gimped navigation. We have to wonder: why include it at all? It’s bound to attract negative attention.